Nautical by Nature: Who is Your Dream (A) Team? The Pretty Little Liars finale is tonight on ABC Family! I thought it would be fun to share our dream A team. Dead or alive, minor character or major: who would be on your dream A team? I am still pulling for Ali to have an evil twin. I swear that girl has multiple personalities! Wren: hot doctor that I have always thought was hiding something. He cozied up to the Hastings family pretty quickly. Evil step sister Kate: I really want Kate to be on the A team. Maybe she had a run in with Ali or Melissa (I think they were both into riding) in the past. Now she can terrorize Ali AND her step sister, Hanna. Two birds with one stone there. 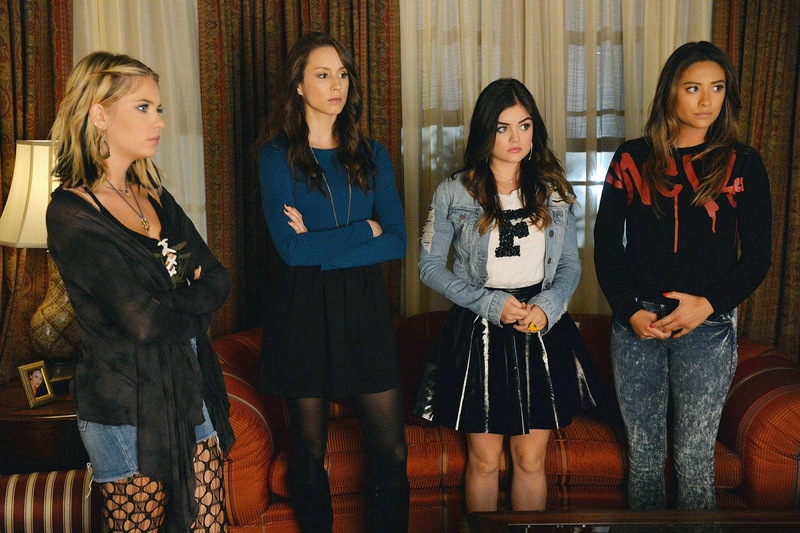 Aria: I've always thought one of the girls was on the A team/working with A. Spencer is way too emotionally invested. But Aria, well A seems to go a little easier on her. Leave a comment with your guesses on who A is and who you would want on the A team! I totally agree about Aria! Plus I personally find her annoying, lol! Allie.... She was SO terrible in the beginning of the series that I just never warmed up to her. And, honestly, she's still kind of terrible. Aria.....She's my least favorite of the main four girls. She is always trying to be "independent" and "mature" in the most dependent, immature ways imaginable. Melissa... Why? Because she's icky, lol! Agree on Aria for sure. I can't believe they still have her with Fitz. I think he's cute but he was her teacher! did you find out?! who is it!! Still don't know! This episode they were trying to make Ali A but I don't think we will know the head A until the last season of the show.